Floods reach Ahvaz in southwestern Iran. 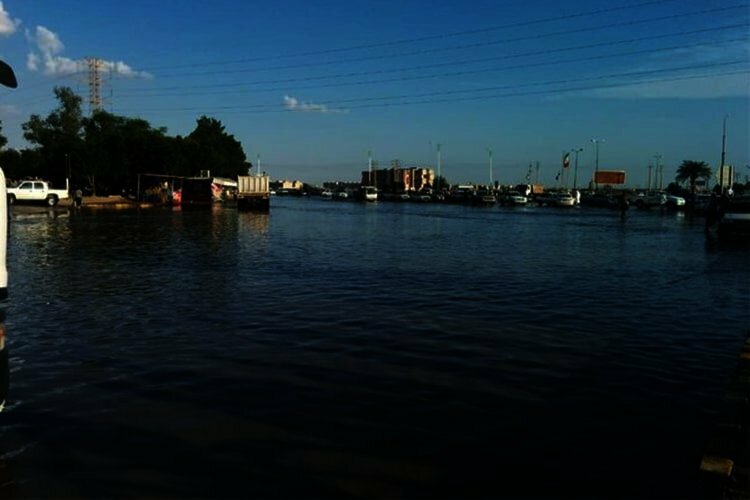 Reports indicate that floods that have ravaged Iran since March 17 have now reached the southwestern city of Ahvaz in Khuzestan Province. A few hours before this, the Governor of Khuzestan had ordered the evacuation of five regions in Ahvaz. More than 100,000 people living on the fringes of the city who were already suffering from poverty were affected by the floods. This happened after flood barriers broke and water from Karkheh River entered through the Salman Channel situated at the entrance of Ahvaz. According to the ISNA state-run News Agency, floods have engulfed the Police Square in the city. The Khuzestan Representative in the Supreme Council of Provinces said yesterday that water from the Karkheh Dam entered Kianshahr via the Salman Dam in the northwestern part of Ahvaz and surrounded the Ghadir Stadium. The water was then diverted to the Eyn-e Do and Malashieh regions which are populous areas on the outskirts of Ahvaz. This means that 24,000 people were endangered by the floods. “The Salman Channel should not have been opened towards Ahvaz and this measure was extremely wrong,” Seyed Mohsen Mousavi, the Khuzestan Representative in the Supreme Council of Provinces said. He said that the locals living on the fringes were not given any warnings before the water was diverted. “Even if Karoun River had inundated the water would not have reached this area but unfortunately they were taken off guard by Karkheh River and then warned the locals to evacuate,” he added. Naser Saraj, the head of the country’s Inspection Organization announced in Tehran that “mistakes and man-made elements” increased flood damages.